Finding a wallet that suits you can be as frustrating as picking out furniture for your house, especially if you’re a young adult. Style is the most important thing when it comes to making your choice and if you’re not of the female gender, you’re not going to find a wallet that’s flashy. The only way you could probably find something that’s truly unique and not expensive, is if you made it. 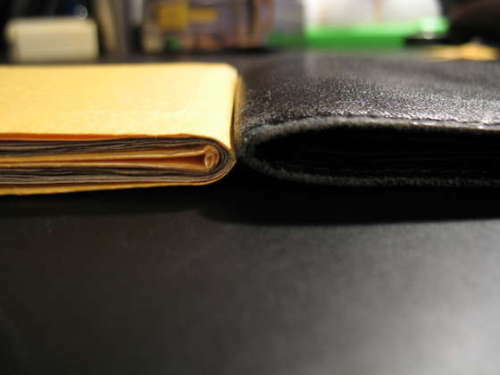 Making your own wallet does sound cheesy and really cheap, but with basic instructions, you can create one based on your preferences. For example, by using the steps for how to construct a paper wallet, you can think of new ideas to make your invention more creative. Drawing designs and even colouring/painting your custom wallet may sound weird, but in reality, it’s different than your average black “card-carrier”. Your illustration options are endless and in turn can give you something to do if you’re bored. So think about the DIY before you chuckle to yourself. Why bother buying a $30 wallet when you can make one that’s checkered for practically nothing? If you’re interested, you can find out how to make your own paper wallet here . If you're lazy and just want to order a cool and fun wallet, take a look at these cool looking tyvek paper wallets.